Earl Sanders was a first-round pick, and deservedly so, his coach at Jackson State Bob Braddy told The Black College Sports Review. "When he's out there, he feels he's going to win," Braddy told The Sports Review in July 1986. "A lot of guys have the ability but not the desire to succeed. You can't put him second to anyone." Sanders took that desire to succeed to short-season St. Catharines, getting his first look at AA Knoxville in 1988. But, in a career that spanned seven seasons, Sanders' desire wasn't enough to make the majors. 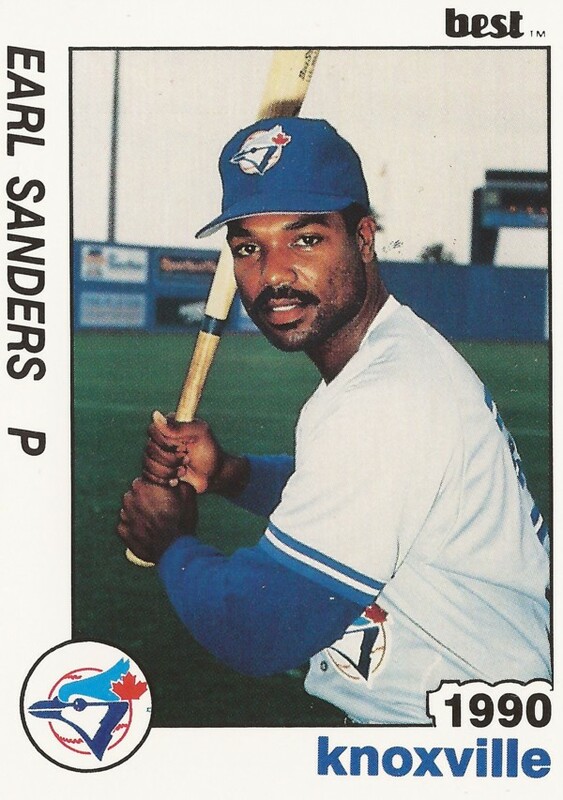 Sanders' career began that year in 1986, taken by the Blue Jays in the first round, 26th overall, out of Jackson State. After his selection in June, Sanders wasn't sure yet if he'd sign, he told The Sports Review then. "If they wave the magic number in my face, I'm gone," Sanders told The Sports Review. Sanders apparently got the number he wanted, because he was gone, off to St. Catharines. There, he went 6-2, with a 2.08 ERA over 11 starts. For 1987, Sanders moved to single-A Dunedin, going 7-11 in 26 starts, with an ERA of 4.50. 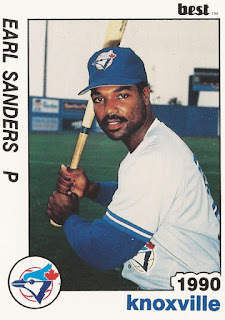 In 1988, Sanders returned to Dunedin, but also got a three-game look at AA Knoxville. He got a longer, 27-game look at Knoxville in 1989, after turning reliever. He also got 12 outings back at Dunedin. There, a Sanders late wild-pitch led to a Dunedin loss. For 1990, Sanders returned to Knoxville, getting 37 relief outings, with a 4.75 ERA. That November, Sanders found himself traded to the Braves. With the Braves, Sanders played 1991 at AA Greenville, getting 48 relief outings. For 1992, Sanders moved to the Astros system. With the Astros, he played at AA Jackson, but got into just four games. They were the final four games of his pro career.